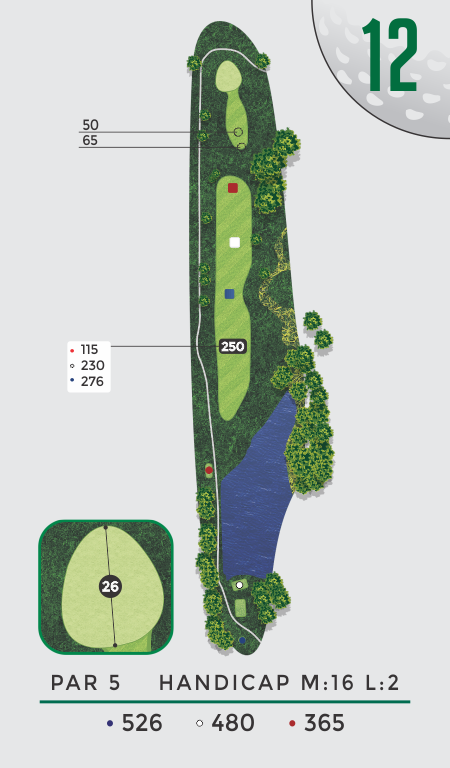 A difficult driving hole, this par 5 has out-of-bounds left and a lateral hazard down the right side. An ideal tee ball would be on the left-hand side of the fairway atop the hill. A well-placed fairway wood should leave a short pitch to a severely back-to-front sloped green. Shorter putts tend to break more than they read.